Vaccinations: A Rabies vaccination is required by 3-months of age if you live in Maricopa County, otherwise, by 6-months of age. Distemper per your licensed veterinarian’s recommendation. Bordetella is optional. We suggest puppies receive at least one Bordetella vaccination because of their young immune systems. Discuss with your vet which vaccinations would be best for your pet and your lifestyle. We absolutely accept titers to help prevent over vaccinating. Neuter or Spray: We do require dogs to be neutered or spayed. Male dogs must be neutered by 7 or 8 months of age. Female dogs must be spayed by 10 to 12-months of age. 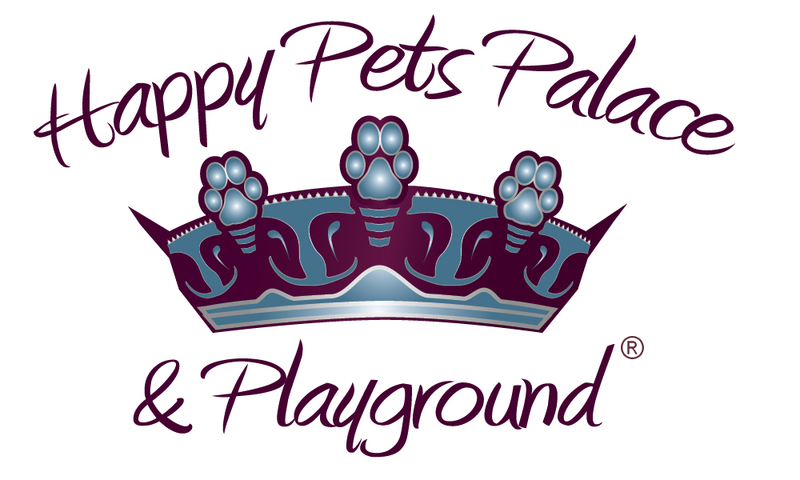 Female dogs cannot be in season (in heat) while at Happy Pets Palace. Pre-screening: We perform a meet-and-greet evaluation on your dog’s first day of daycare. Regular daycare rates apply. If you are unsure of your dog’s experience level, then a phone conversation with us can help. We want to be sure dog-dog group play is an enjoyable time for everyone. Puppy vaccinations: Vaccination records are required by a licensed vet for Parvo, Distemper and Bordetella. A 7-day waiting period is required after distemper vaccination is given for puppy’s inoculation. Rabies is due by 3-months of age. Licensed vet to provide clean bill of health including parasite free stool sample before first attendance. See “Requirements and FAQs” for more information.